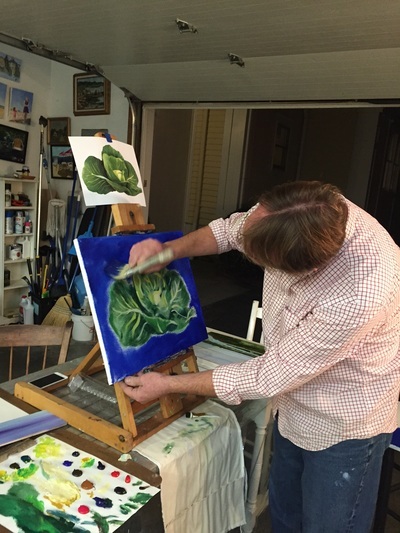 use is the basis of Lindberg Designs. 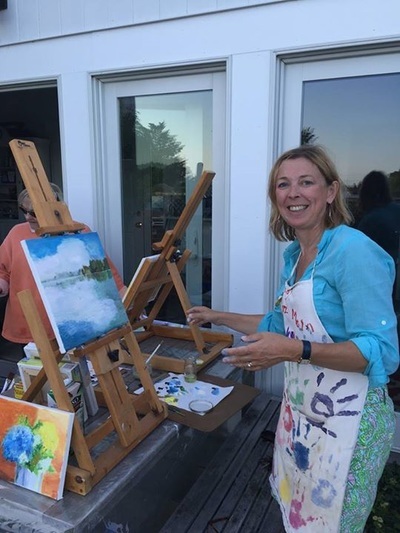 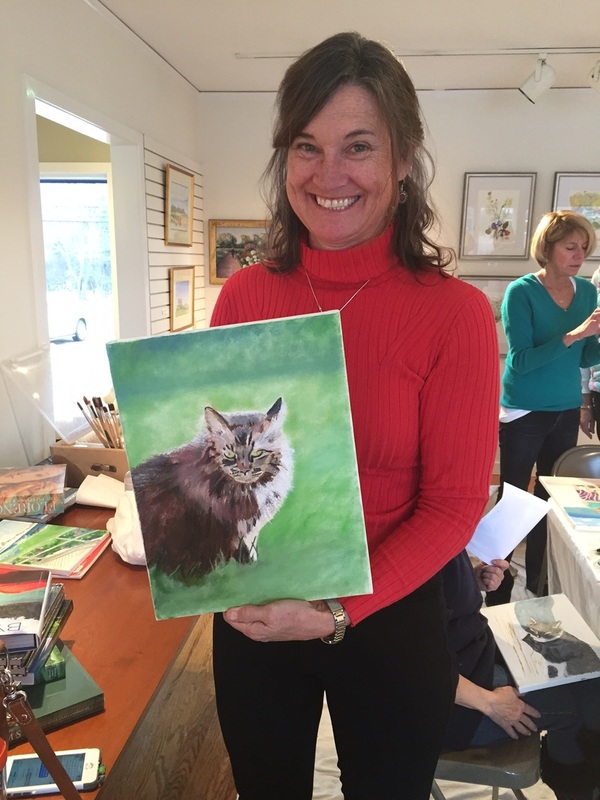 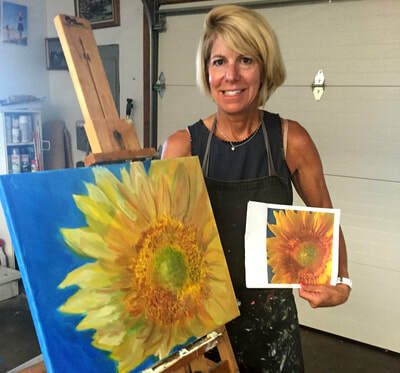 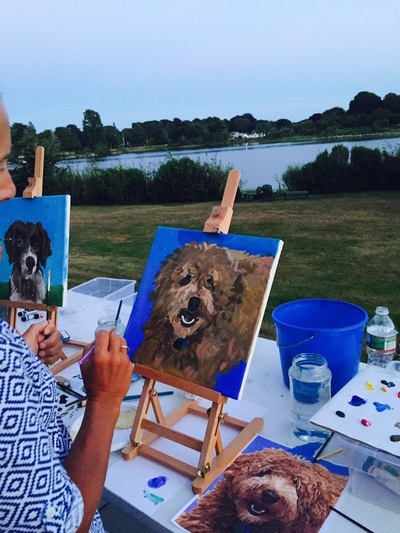 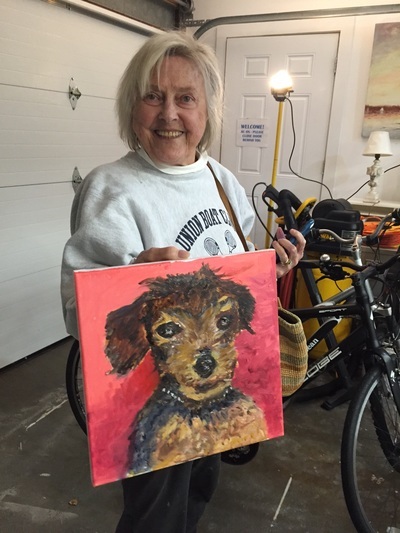 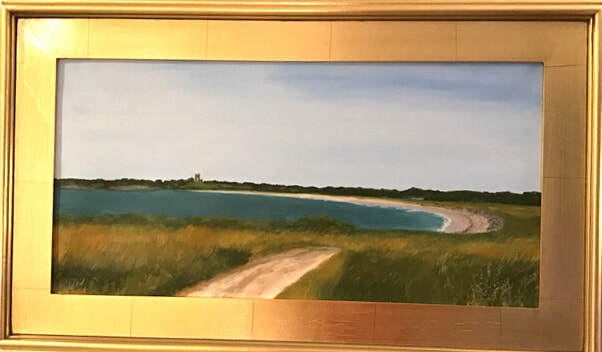 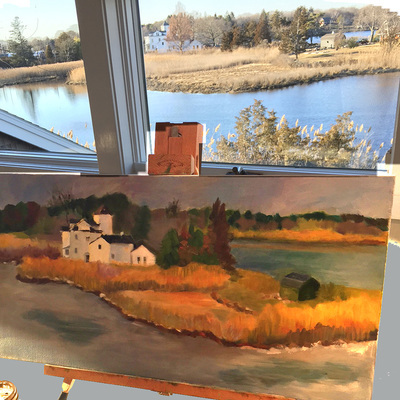 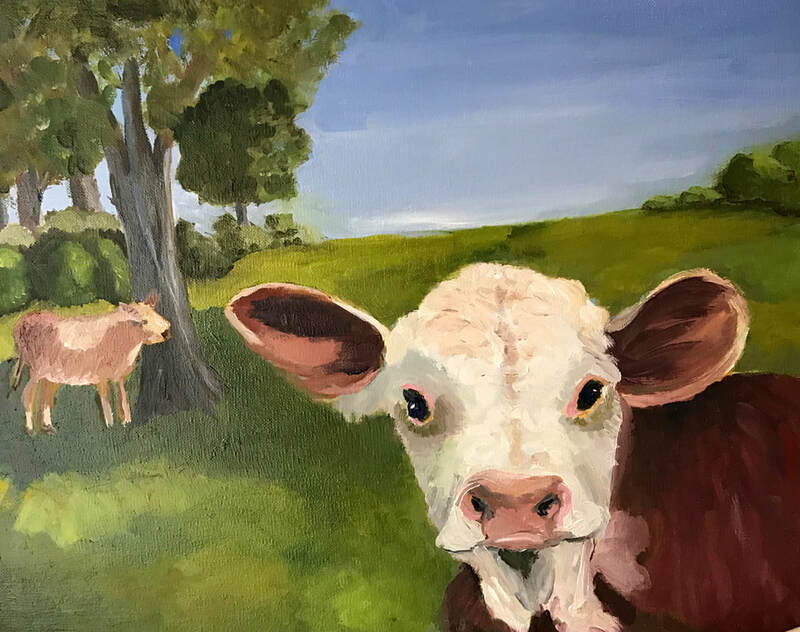 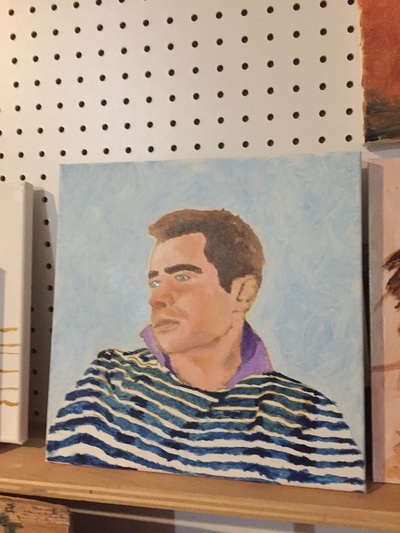 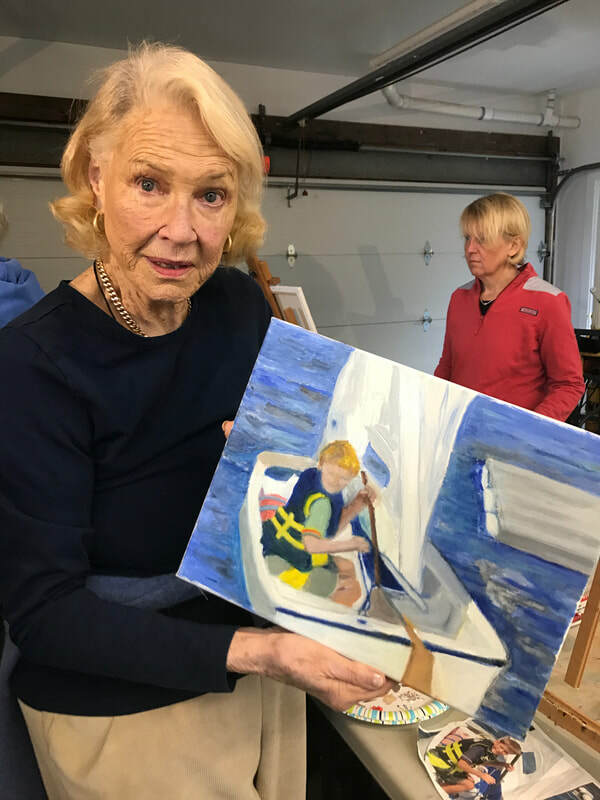 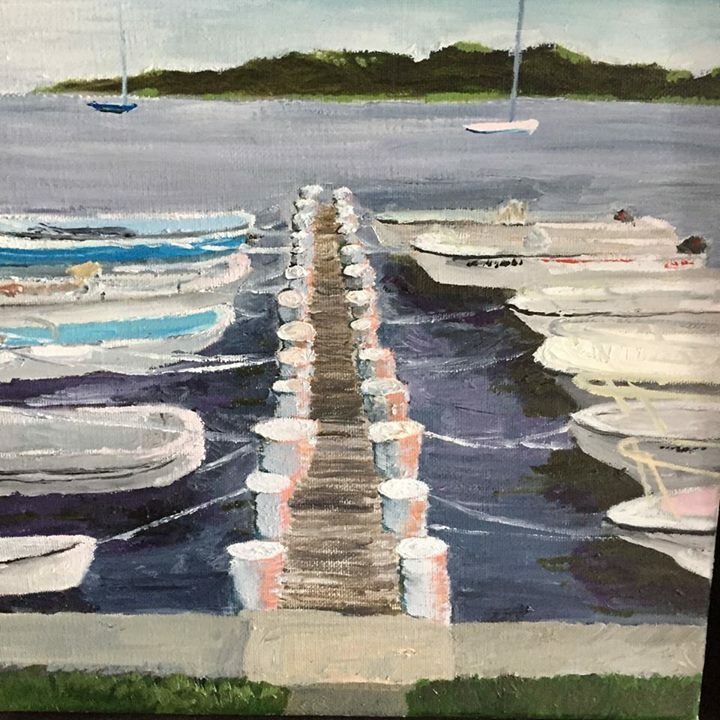 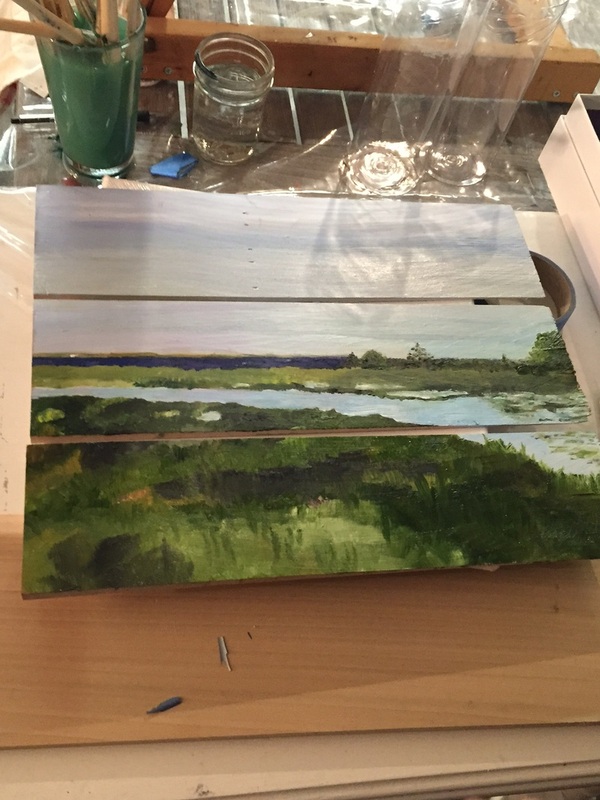 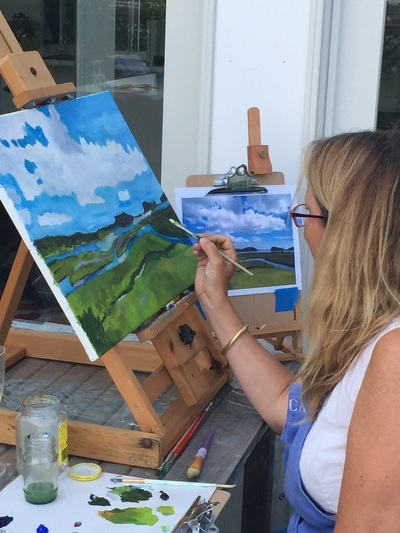 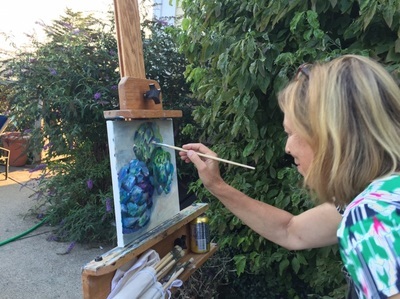 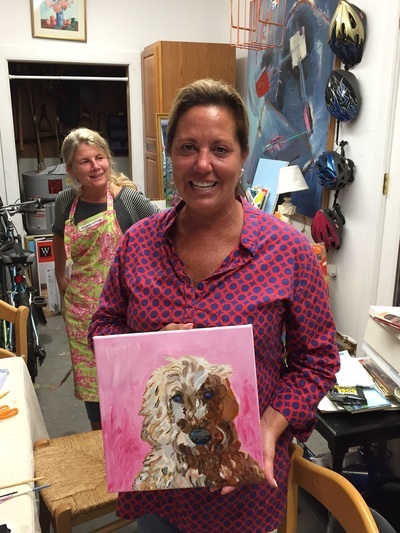 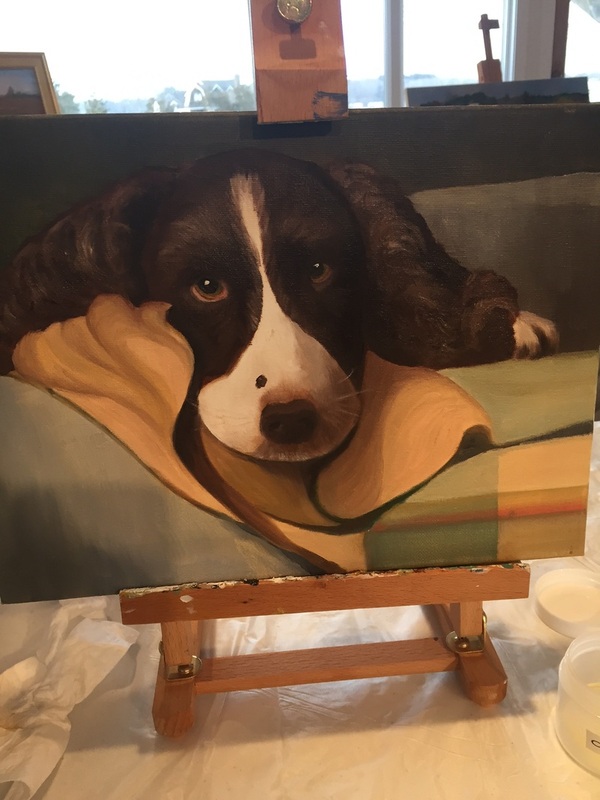 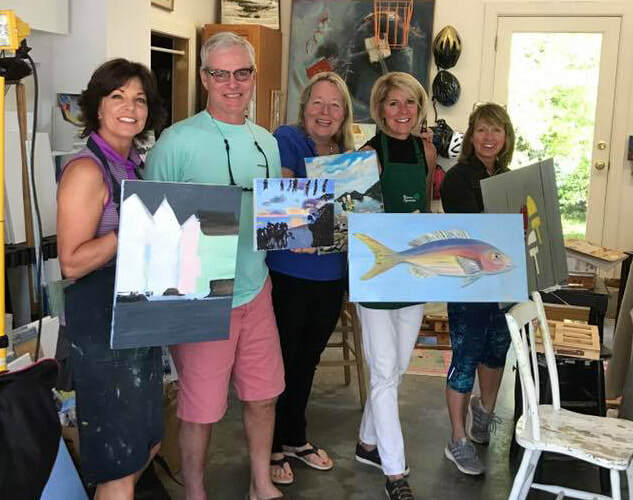 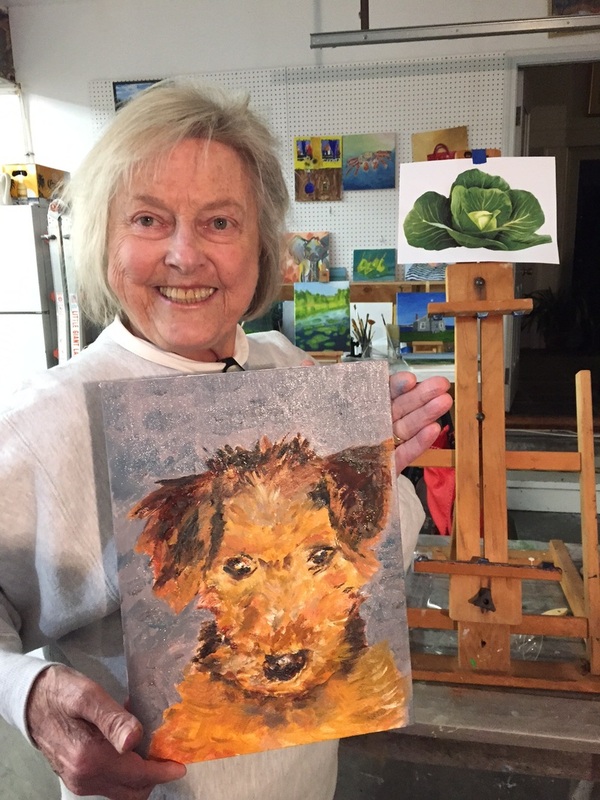 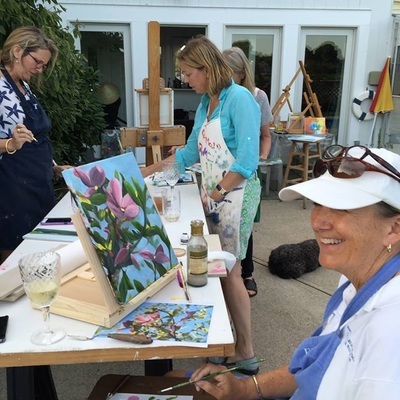 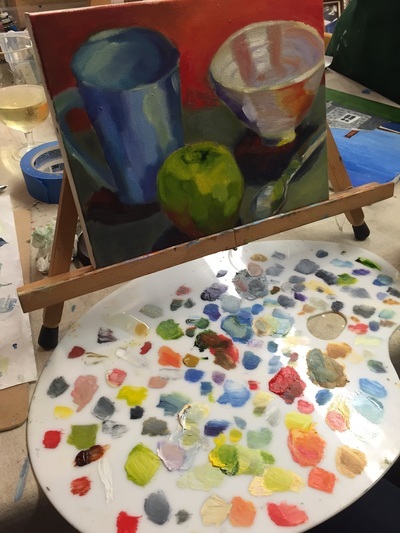 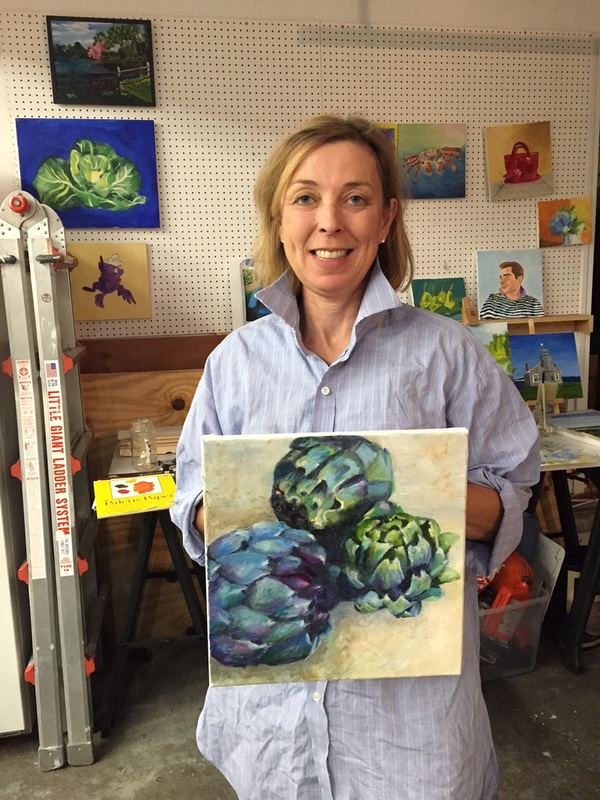 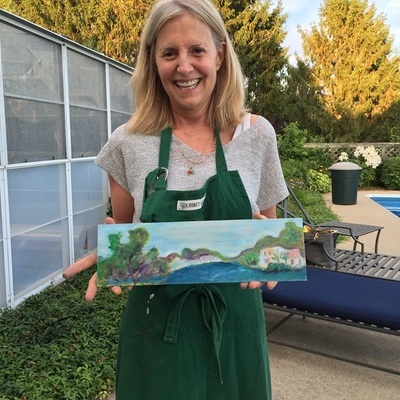 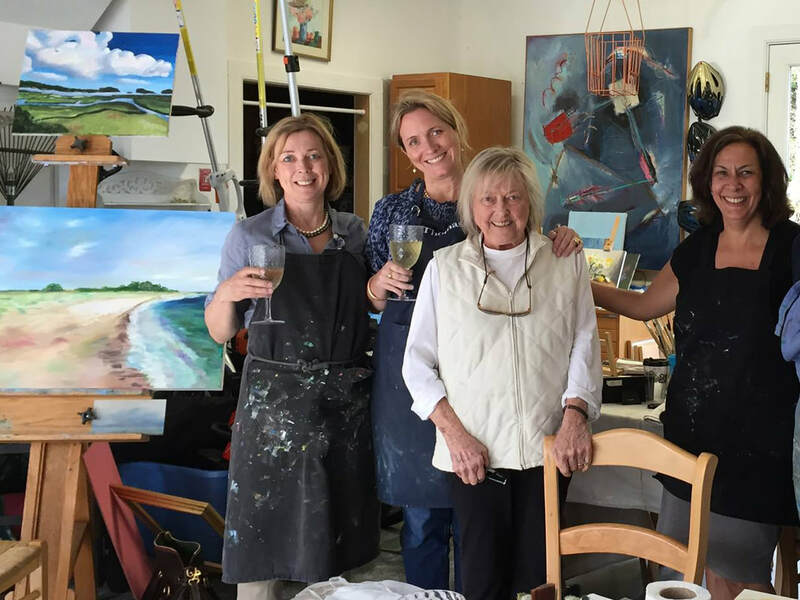 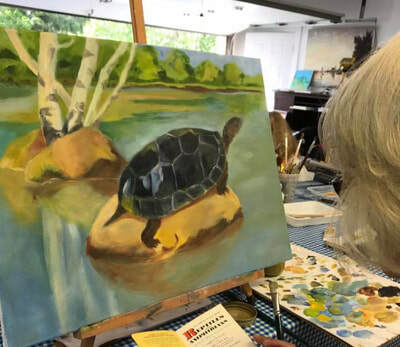 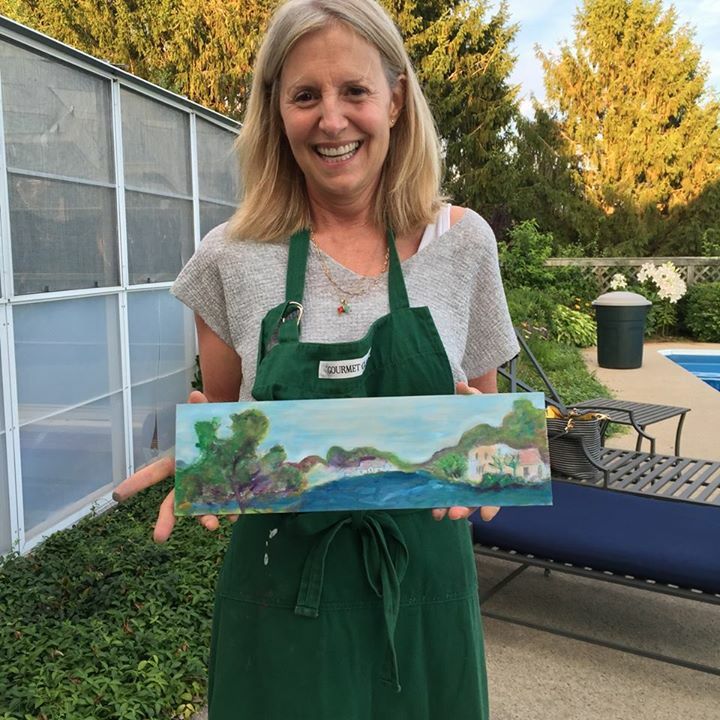 As a resident of Stonington, CT I am delighted to offer group and private classes in oils, watercolors, pastels and Photoshop. 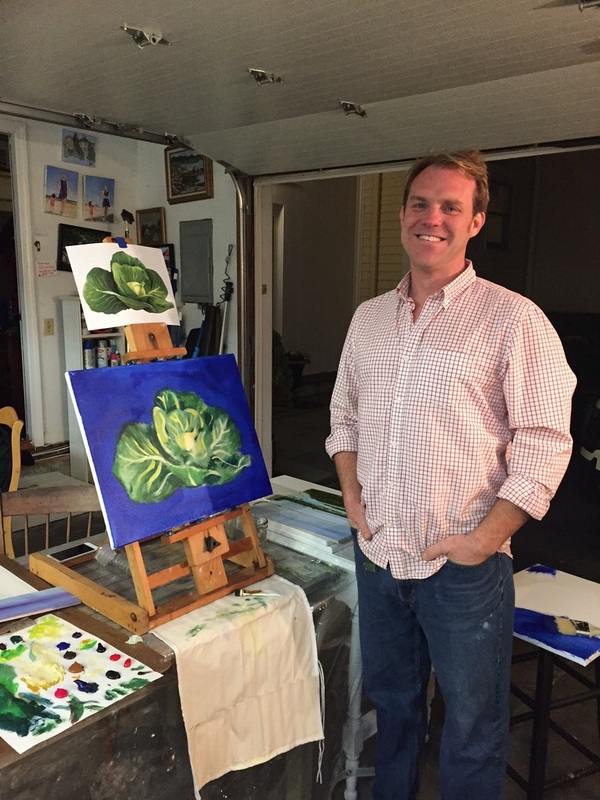 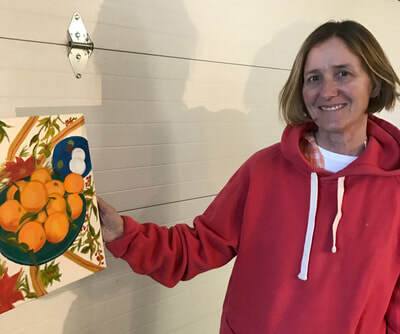 Lindberg Designs helps individuals monetize their own art. 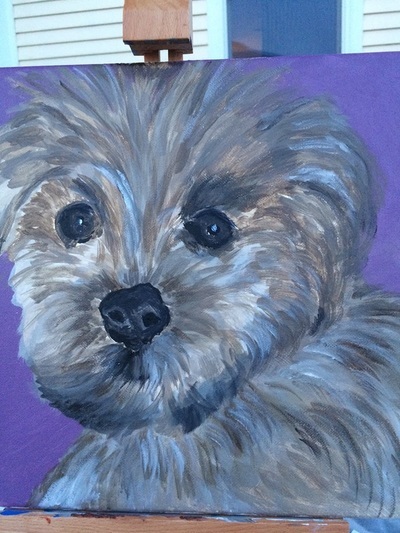 I have a Masters in Digital Imaging and Design from New York University. 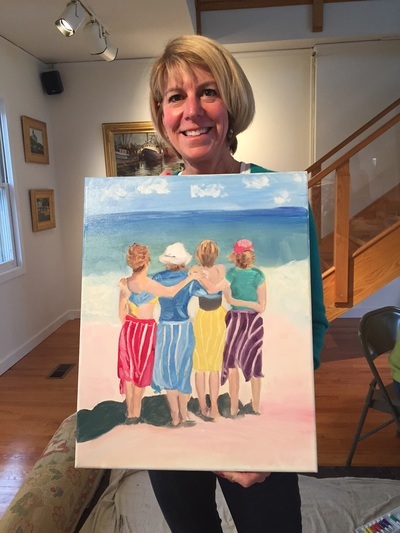 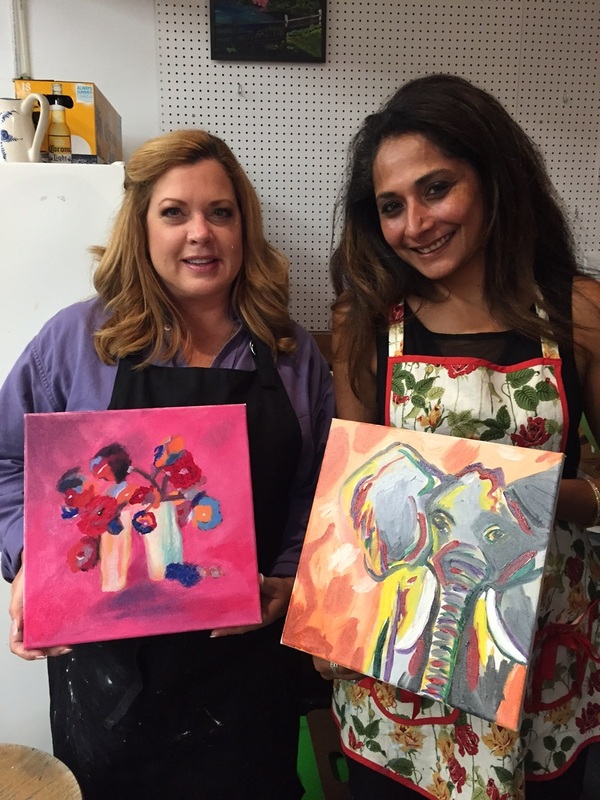 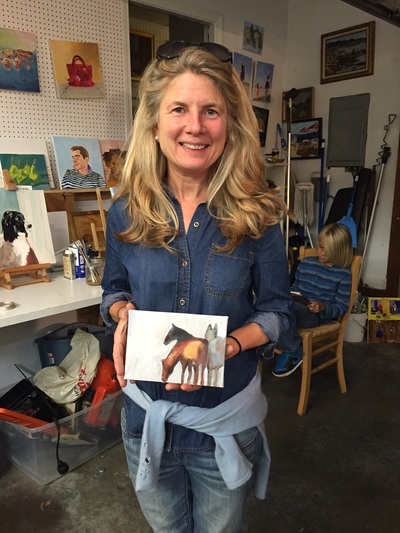 I love painting and I love teaching others to be comfortable with their own creative visions. 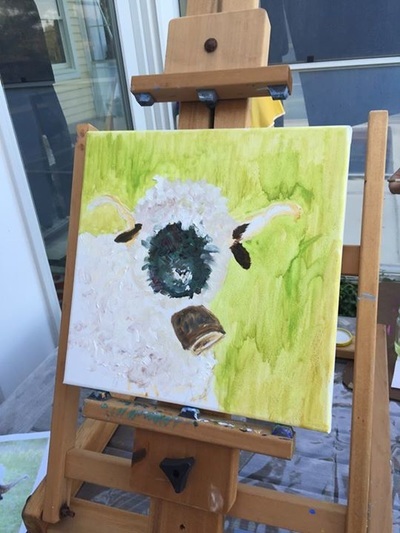 For the first few paintings we trace images. 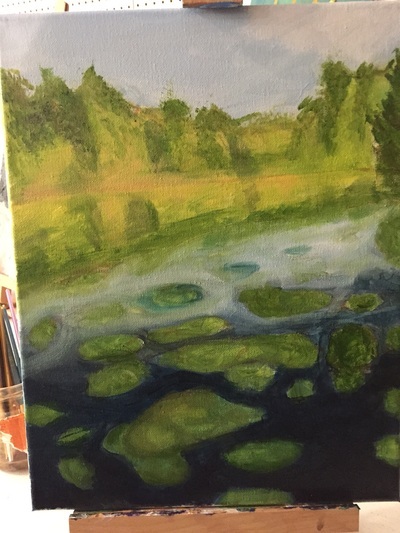 The idea is to get to painting without agonizing over your drawing. 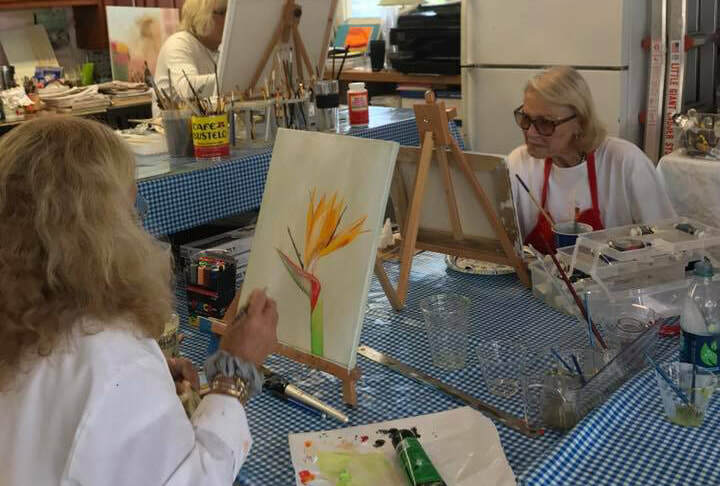 Once your painting confidence builds then we begin working free hand from our imaginations or other reference materials, and your drawing automatically improves on its own. Appreciating color and design in every medium, with both beginning students and experts is wonderful. 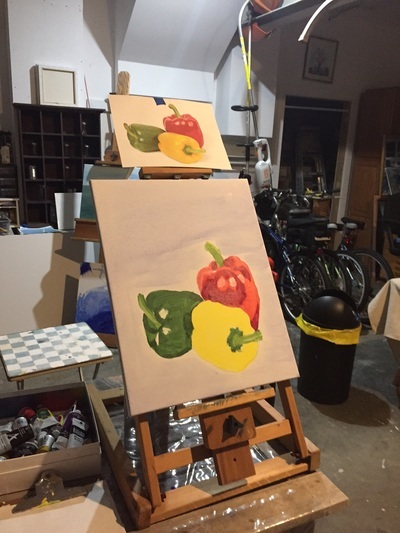 Encouraging creative thinking, and visual sharing is my passion. The goal with my work and to share with students, is trying new things and styles. Push out of the comfort zone to grow and improve. Below are three recent paintings of mine in different styles. 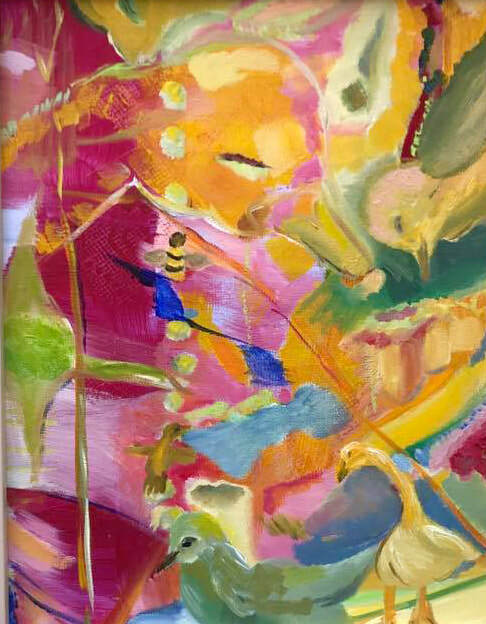 The first is close to an illustration, the second is an abstraction with bright colors and hidden birds and the third is working toward improving classic subjects. It is all hard - and wonderful to work on improving. 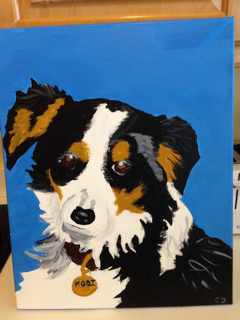 Student works which impress me every day follow below. 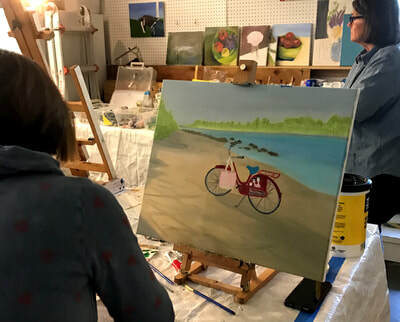 Dodie Bump completes "Pre-Season" and Amanda Fowler puts the finishing touches on "Water Street". 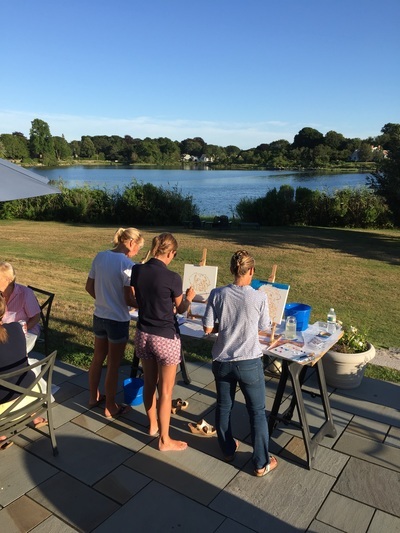 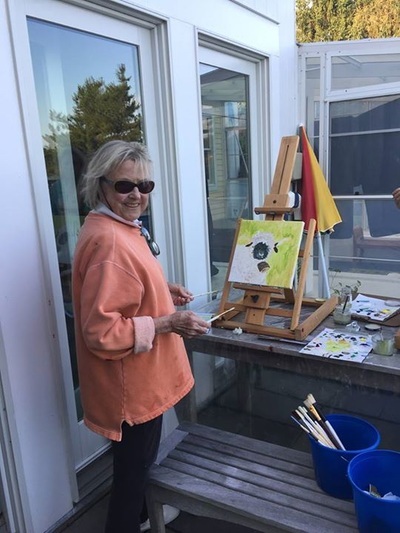 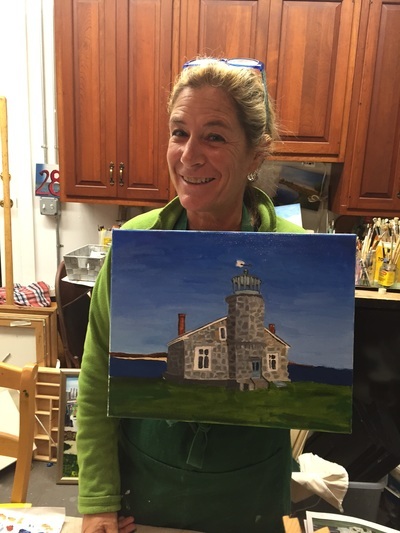 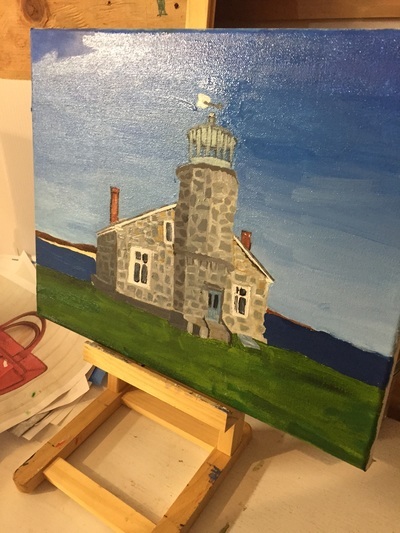 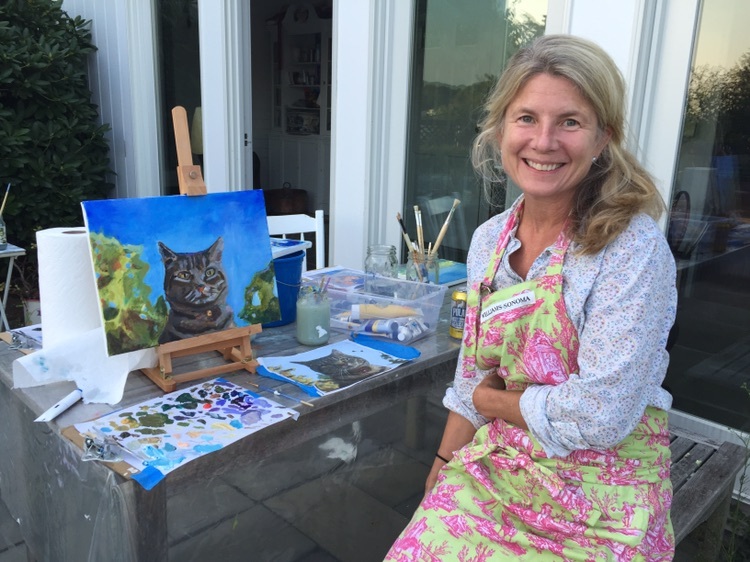 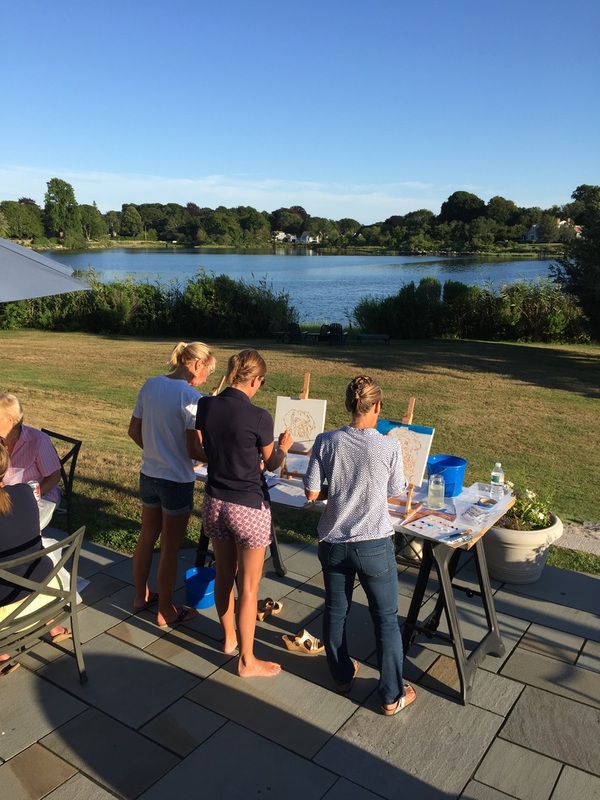 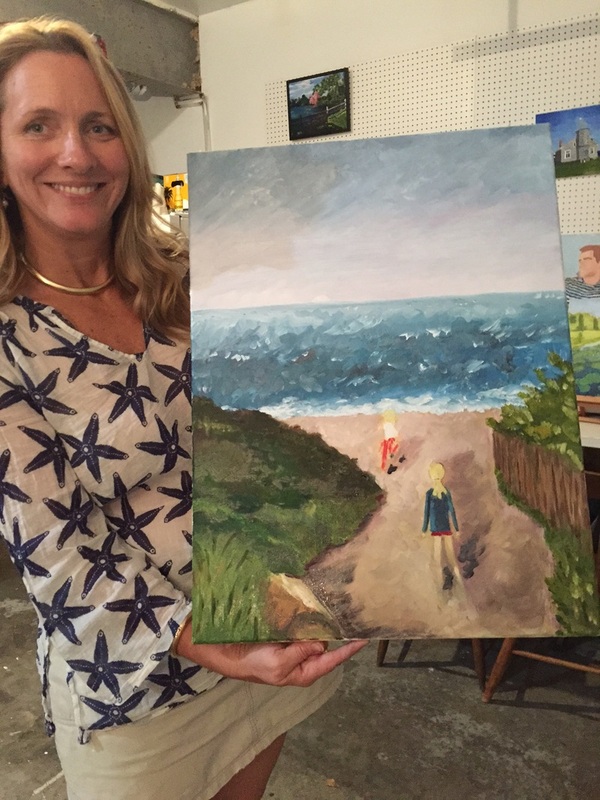 Olga Goff paints Watch Hill light and Marggie Slichter captures a Nantucket Cottage. Both are oil on Canvas. Deb Bigelow, left, meticulously painting the sea wall at the end of Wall Street, and Marybeth Bartholet, above, completing pink marsh for the June Art Show to benefit the Westerly Hospital Foundation. 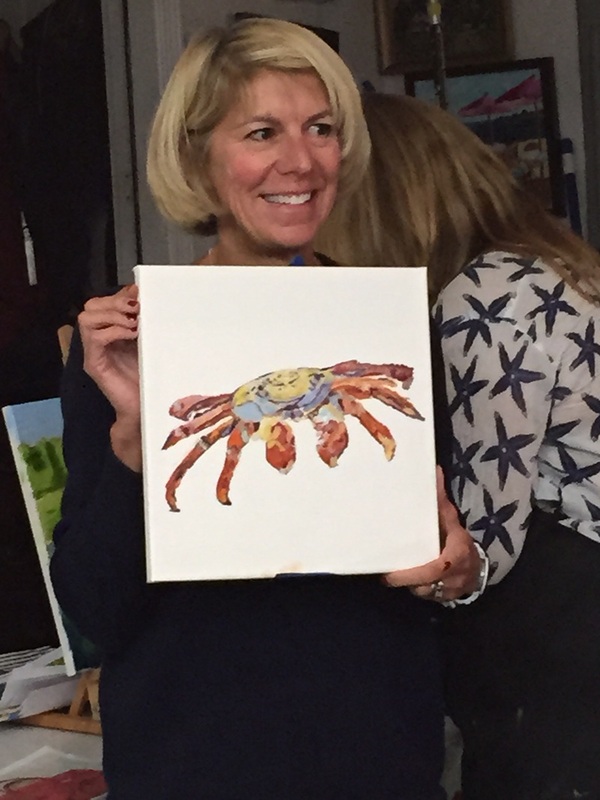 We are very inspired in our classes by the work of Carol Marine. Stacey copied Carol's landscape adding touches of her own. 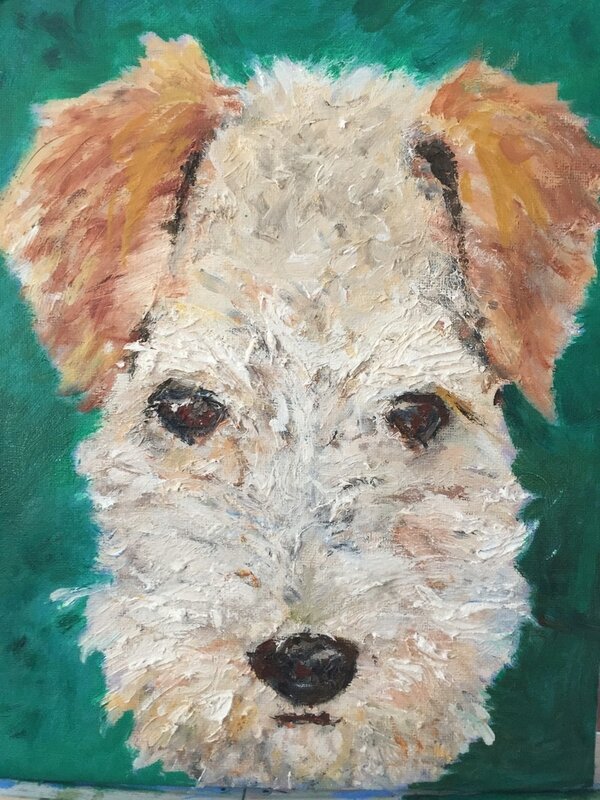 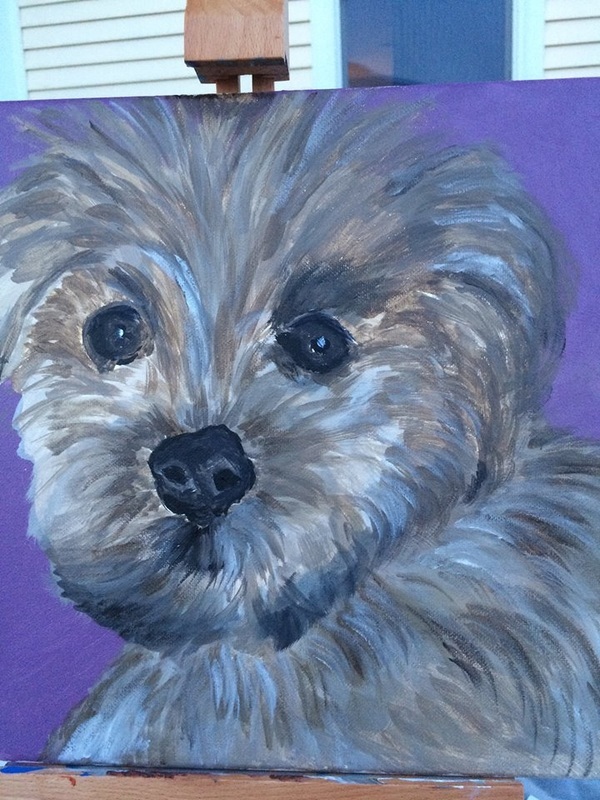 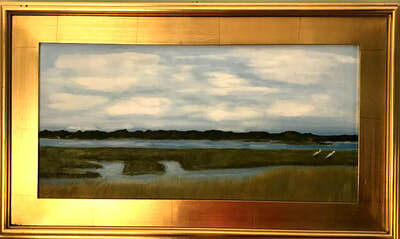 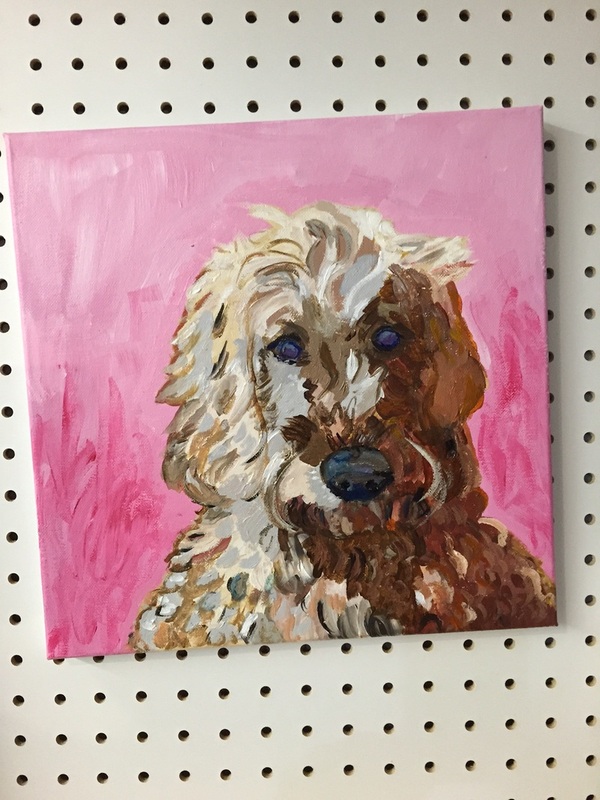 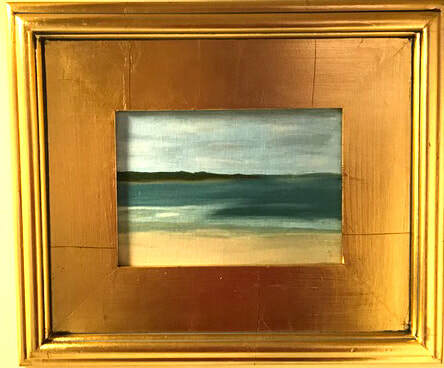 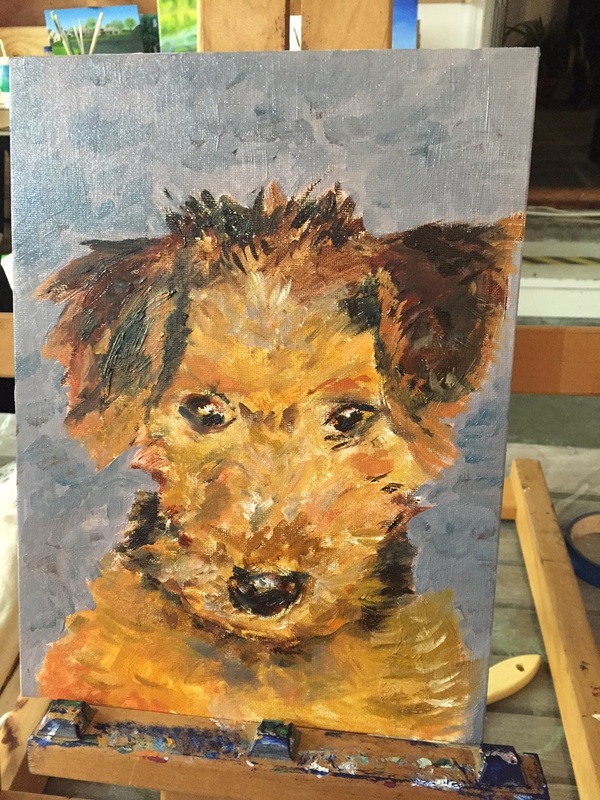 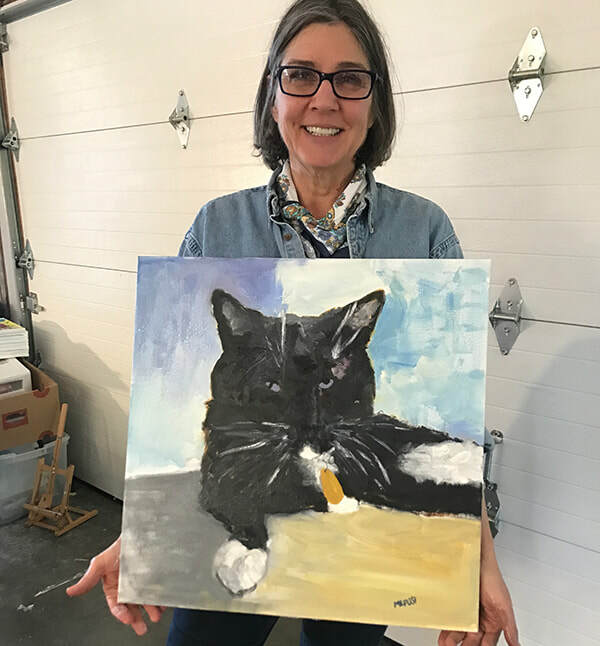 To See more of Carol Marine's work go to: ​http://carolmarine.blogspot.com/ and, or to: http://www.dailypaintworks.com/artists/carol-marine-1. 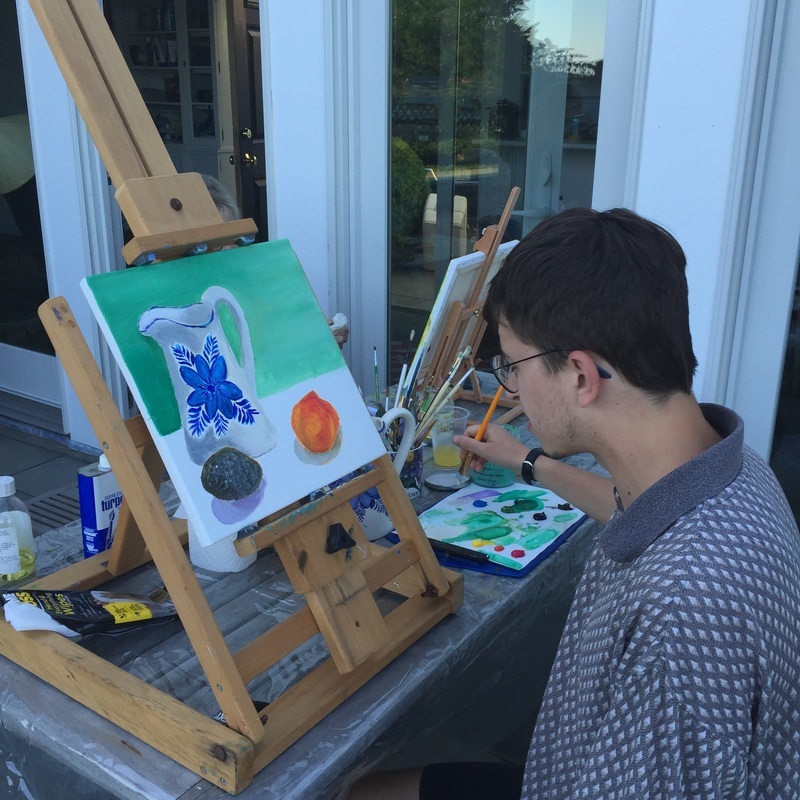 Teach Art and Design to help students realize their own creativity. 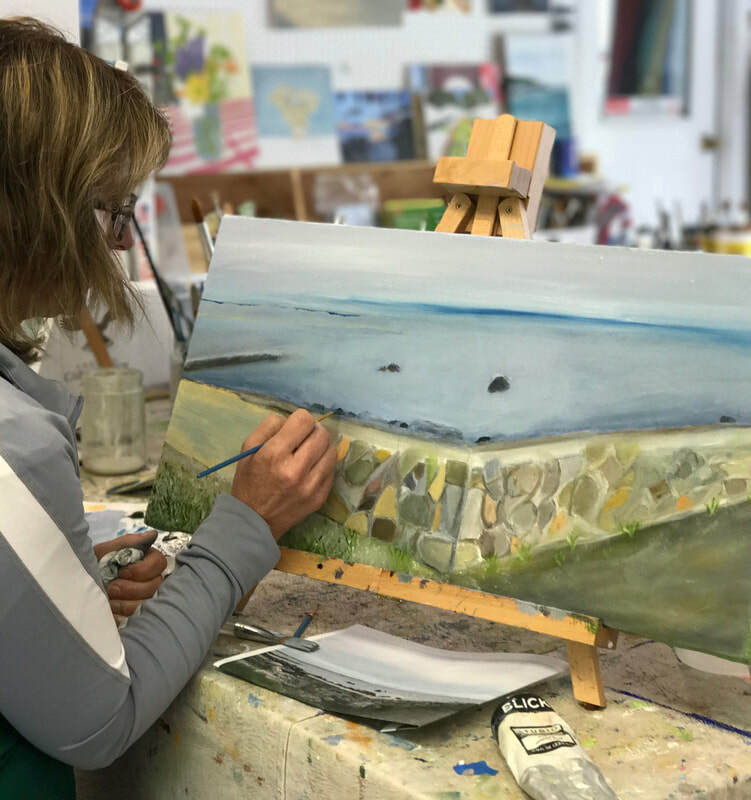 ​Inspire joy and fulfillment through mastery of composition in many art forms particularly painting and digital mixed media. 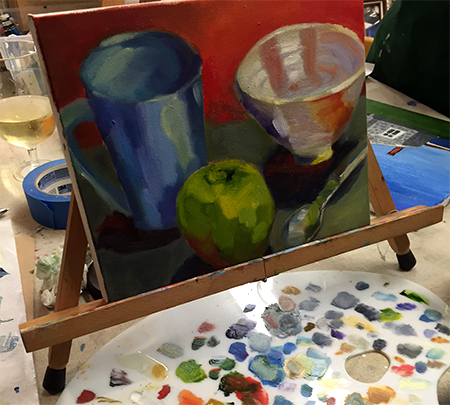 Teach drawing, painting, collage and photoshop to high school students.